In virtually every text message or tweet created today, especially amongst social peers, one is bound to find an emoji located at strategic points in the message. The rise and spread of this seemingly new visual writing code was acknowledged in 2015 by the Oxford Dictionary, which chose the emoji known as “Face with Tears of Joy” as its “Word of the Year.” The growing use of emoji in other domains of communication, from political campaigns to brand advertising, raises a fundamental question: Is alphabetic writing disappearing, to be replaced by visual forms? The Internet Age is, clearly, making new kinds of demands on writing practices, relegating the traditional views of writing and literacy more and more to the margins. Is this a passing trend? Or is there something more revolutionary unfolding before our eyes (literally)? 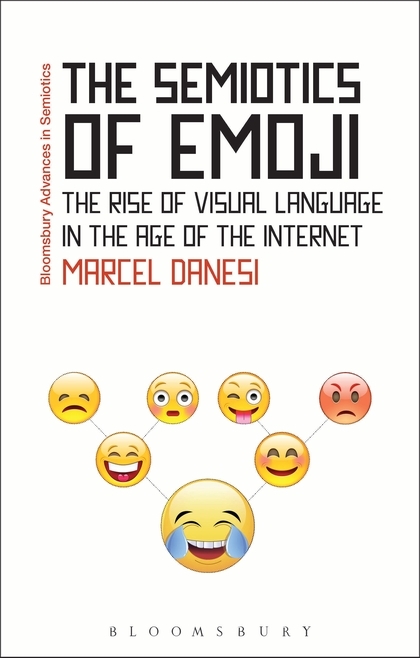 This book looks at questions such as these, given that emoji are becoming increasingly popular across the world, characterizing communications among individuals of different linguistic and cultural backgrounds and seemingly transcending various constraints of language-specific structures. In the global village, the emoji code—if it is a veritable code—might well be (at last) the universal language that can help solve problems of international communications. As an alternative to the vagaries of phonetic writing systems, the emoji code may be a sign of how writing and literacy are evolving; on the other hand the whole emoji phenomenon may be just a passing fad. Whatever the truth, the study of emoji is a significant one. The book is based on basic semiotic principles of analysis and it enlists data collected from 100 young people who use emoji on a regular basis. Although there are precedents for the use of visual symbols within phonetic texts in previous eras, as can be seen in the illuminated texts of the medieval ages, perhaps never before in history has phonetic writing been transformed by a visual component that adds considerably to the meaning and communicative functions of texts, from emotional tone to simple verbal protocols. Understanding how and why this has occurred spontaneously has significant implications for understanding the broader question of the evolution of communication in the Internet Age. Marcel Danesi is professor of semiotics and linguistic anthropology at the University of Toronto. He is also the coordinator for the Program of Semiotics and Communication Theory at Victoria College of the same university. His main interests are in the study of figurative language and of the changing nature of popular culture in the Internet era. He is currently editor of Semiotica.